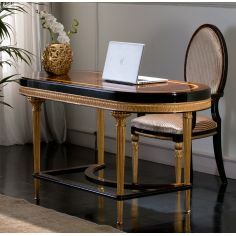 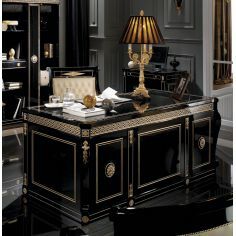 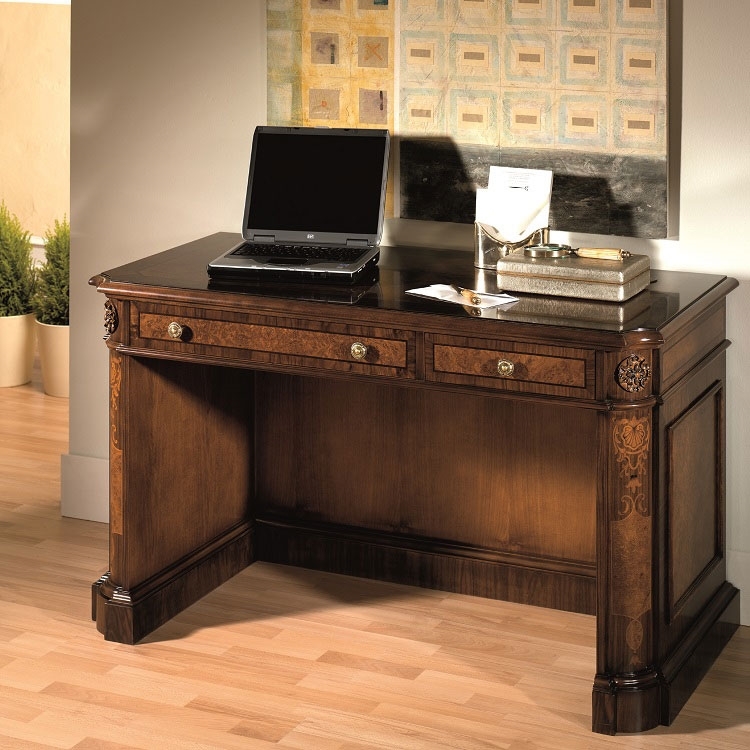 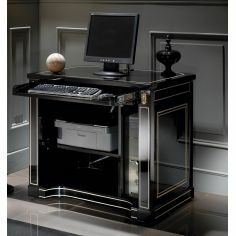 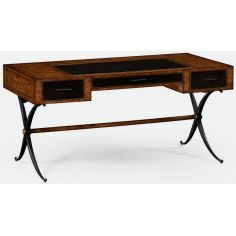 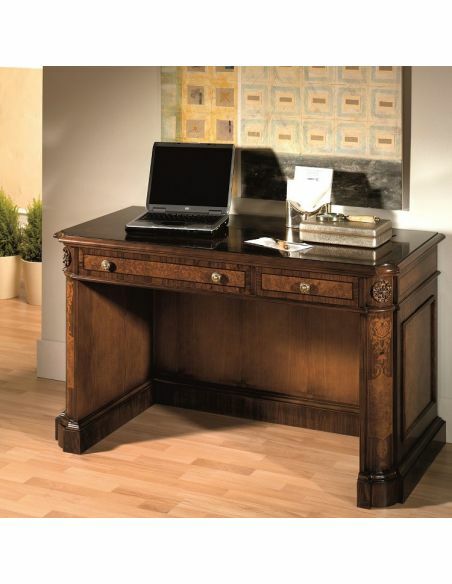 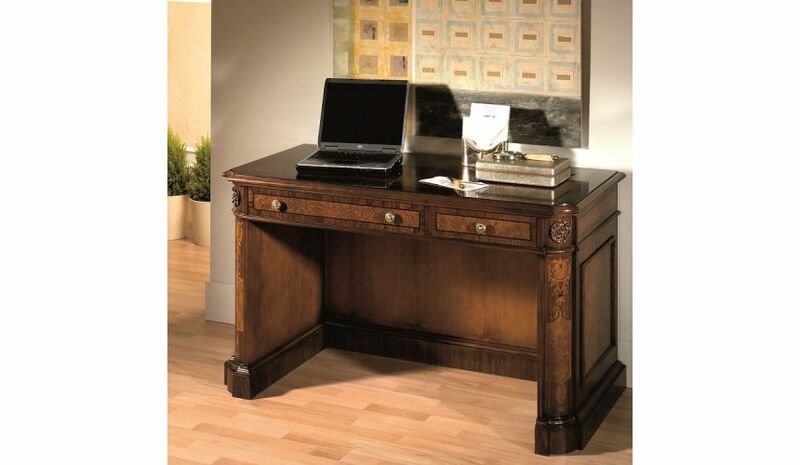 The slim profile and rectangular design of this desk can help you refurbish your living space without trying too hard. 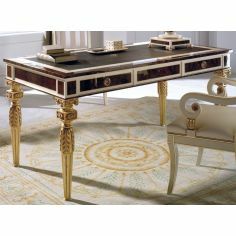 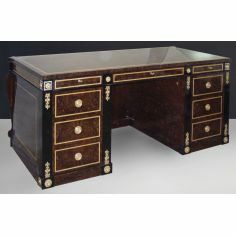 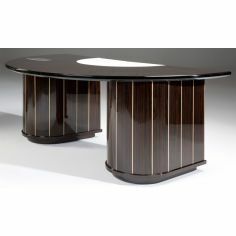 It is a trendy and functional combination of selected wood and hand inlay marquetry. 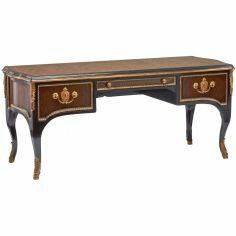 51 1/4" x 25 1/2" x 30 1/4"